An orthodontist is a professional whose specialty is dealing with malocclusions or commonly referred to as improper bites caused by misalignment in teeth or an irregular jaw. If you are one of those individuals who need his or her teeth aligned or is diagnosed by temporomandibular joint or more commonly known as TMJ then you needs the professional assistance of an orthodontist. So how do you find a reliable and trusted orthodontist? •	Go to an Orthodontist and NOT a dentist: This is not to say that dentists are incompetent but rather orthodontists specialize in orthodontics. They have more clinical experience when it comes to the field of orthodontics meaning they can help you more than your dentist can. •	Verify The Orthodontist’s Credentials: Make sure that the professional whom you will be entrusting your teeth to have the credentials to practice his or her profession. •	Experience: Find how long your orthodontist has been working in the field. Is he experienced or is he someone new to the field? Remember that an established professional can provide you with better results than an inexperienced professional. •	Updated: Your orthodontist should be updated with the latest techniques and knowledge regarding orthodontist. This assures you that he will be applying the best methods to make the treatment more pain-free for you. 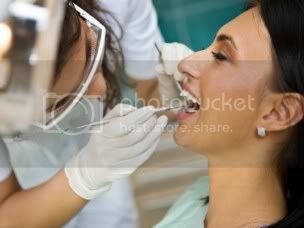 •	Check the Office: It is important that the clinic of the orthodontist is clean and sanitary. At the same time, it should also be organized. He should also have updated and well-maintained equipment. You cannot risk your teeth being handled by someone who does not even clean or disinfect his equipment after using it on a previous patient. If you do not have an idea of where to find a reputable orthodontist, you may want to ask your family dentist or a dentist whom you trust. You also have the option of checking online for some orthodontist NYC if you find NYC more accessible for you. Nice! Sometimes, I don’t feel comfortable with my ortho. Haha. It’s good to have an orthodontist as our teeth is evident every time we smile or talk so it helps that the are well aligned and well taken cared of. Thanks for clearing that up.. the difference between a dentist and an orthodontist. Now I know where to go respectively. Thanks for the info! of our teeth and health in general.